Objective: Del Taco’s most important product launch of 2016 included the introduction of the brand’s first menu item worthy of its name: The Del Taco. Powerhouse Communications was tasked with making a big splash surrounding the new product among both media and social influencers to drive trials. 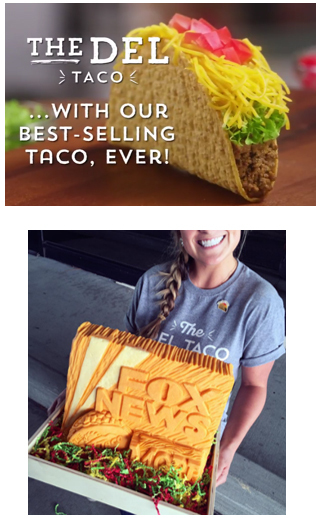 Challenge: As a classic crunchy beef taco, there was nothing substantially unique or new about The Del Taco, so Powerhouse Communications had to flex their creative muscle to position the basic menu item as the best taco Del Taco had ever made. 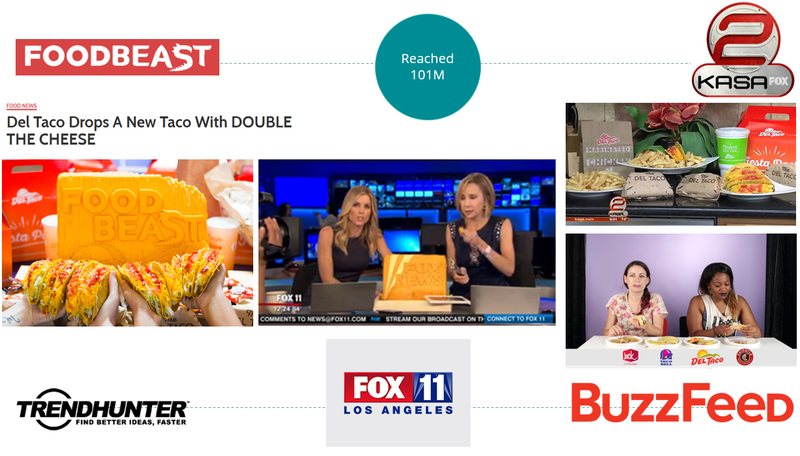 Results: After hosting a successful influencer launch event, coordinating sponsored content on FOODBEAST, delivering over custom cheese blocks to the media, as well as conducting organic media outreach, the Agency was able to reach over 101M. As a result, the Agency’s PR support helped The Del Taco become the company’s most successful product in the iconic brand’s 50 year plus history.